GenuTrain S with plastic joint splints supports the knee joint for indications of slight instability, arthritis or osteoarthritis of the knee. An integral, ring-shaped visco-elastic pad surrounds the kneecap, while the interplay of the knit and the pad provides intermittent compression massage, thereby activating the musculature and stimulating the healing process. The combination of plastic joint bars and the strap system in the GenuTrain S provides optimal knee stabilization and added passive support for the knee. 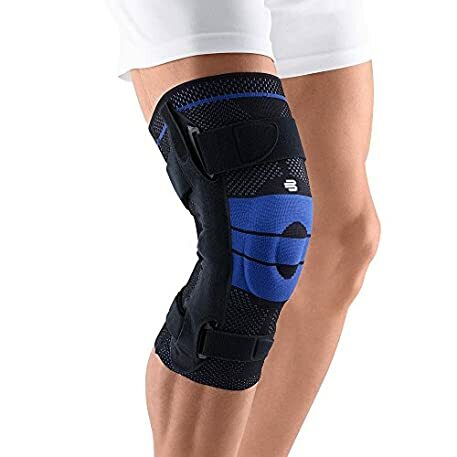 Popular knee brace for running.